Departure from Paramaribo to Atjoni is around 9:00 am. Along the way you make two stops to use the sanitary facilities or to enjoy a snack. At the beginning of the afternoon you will arrive at Atjoni, after which you will embark on an hour-long boat trip to Knini Paati. Upon arrival on the island you can relax while enjoying a late lunch. Then it is time for check-in and you can start installing in the lodge. You have the time to relax or to swim in the sula. At 16:00 it is time for the first excursion. You will be back in time to freshen up for the evening meal. This is ready at 19:00. This is ready at 19:00. 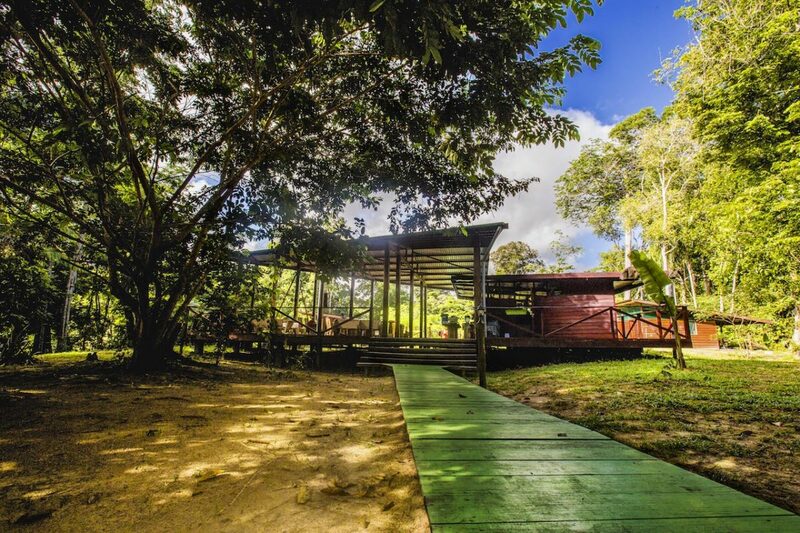 After having enjoyed dinner, you prepare for the second excursion, a nightly boat trip to experience the jungle by night. When returning to the resort you can relax in your lodge or enjoy a nice cold ‘dyogo’(large bottle of local beer) in the restaurant. On day 2, breakfast is ready at 08:00. At 09:00 it is time for your third excursion, short trip to the sula for cooling swim. You will be back in time for the checkout at 11:00 and the lunch at 11:30. At 12:00 the boat trip back to Atjoni starts. At 12:00 the boat trip back to Atjoni starts. 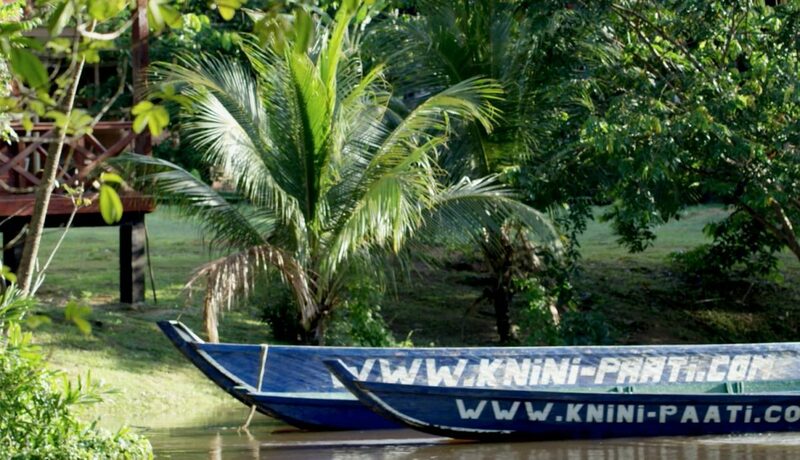 During the return trip you make one stop so you are back on time at your holiday address, happy with the special experience in the Upper Suriname area!